Fetch! 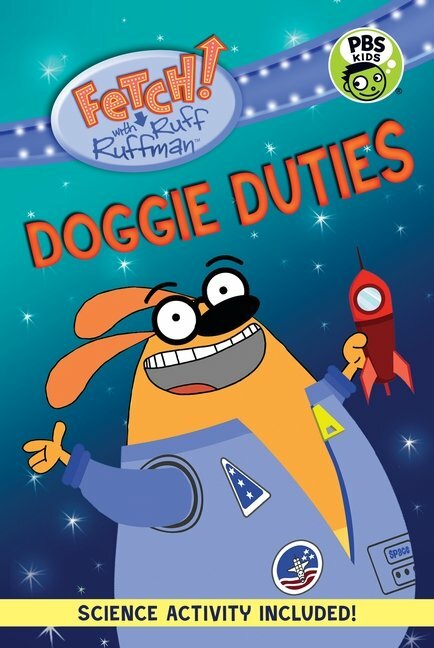 with Ruff Ruffman: Doggie Duties by Jamie Michalak (Candlewick Entertainment, 2014; $14.99, Ages 6-9) is reviewed by Rita Zobayan. Fetch! With Ruff Ruffman: Doggie Duties by Jamie Michalak, Candlewick Entertainment, 2014. See how one tiny mouse’s life changes from cats, claws, and sewers, to ribbons, sequins, and roses in this beautifully written and illustrated picture book, Toe Shoe Mouse (Holiday House, $16.95, Ages 4-8) written by Jan Carr, illustrated by Jennifer A. Bell, and reviewed by MaryAnne Locher. Toe Shoe Mouse by Jan Carr with illustrations by Jennifer A. Bell, Holiday House, 2014. After being chased through the sewers of the city, a mouse finds himself at the ballet on a comfy velvety cushion. He enjoys the music and dance so much, that he decides to stay…until a patron claims his seat, and a chase for the little mouse ensues. Luckily, for our adorable rodent friend, he can squeeze into places no human can, and is able to narrowly escape sword-wielding soldiers by squeezing through a small space and into a room. Tuckered out from his recent close calls, he snuggles down into a “… small, satin crevice. It was just the right size for hiding and was padded with a soft bed of lamb’s wool,” and falls asleep. 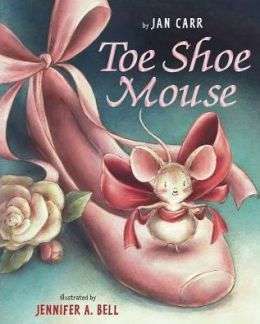 When he wakes up, little Toe Shoe Mouse discovers he’s in the dressing room of a graceful ballerina, Celeste, who he immediately begins to secretly court for her friendship. But, our narrator is a timid fellow, and flees when he comes nose to nose with his flexible object of his infatuation. A run-in with a broom-batting custodian and then a pack of rats, has the mouse running back to the safety of his pink satin bed. The bed (a toe shoe) is missing. Instead he finds a sweet treat and an enduring, albeit unlikely, friendship with someone who shares his love of music and dance. Toe Shoe Mouse is right on pointe with artwork by Jennifer A. Bell, rendered in pencil then colored digitally in a soft romantic palette, sure to please ballerinas of all ages. The writing is as exquisite a composition as befits a ballet. The dance of friendship … timeless. 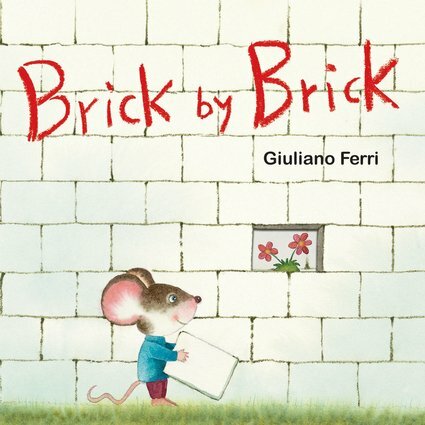 It should be noted that Toe Shoe Mouse is wordier than many current picture books, but in a good way. 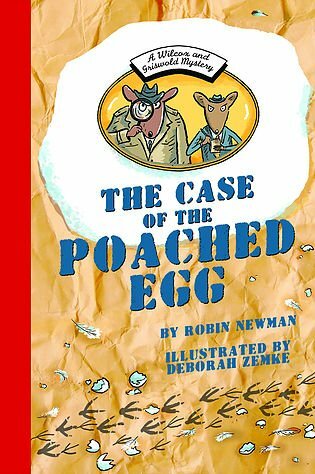 Jan Carr’s writing is reminiscent of the late great Beatrix Potter. Bravo! Take a peek at some pictures here.